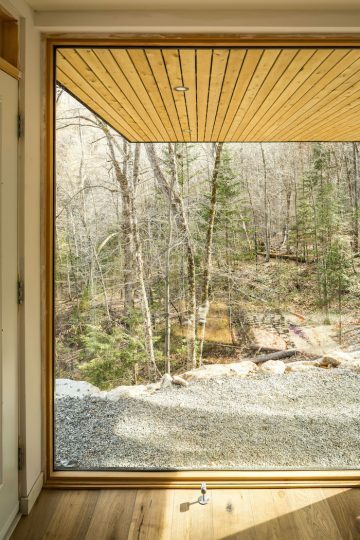 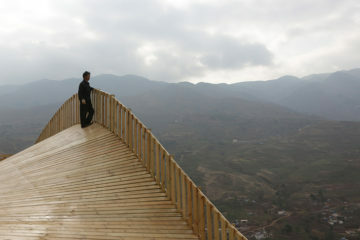 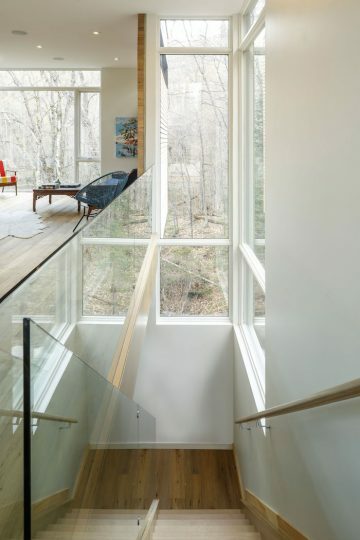 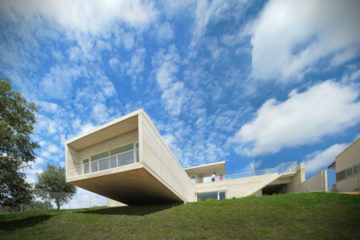 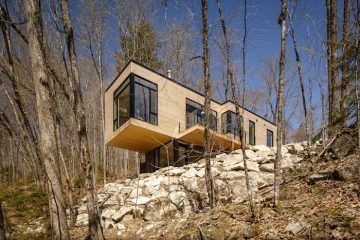 Christopher Simmonds Architects Inc. constructed a cottage that hangs over the edge of a cliff with stunning lakeviews. 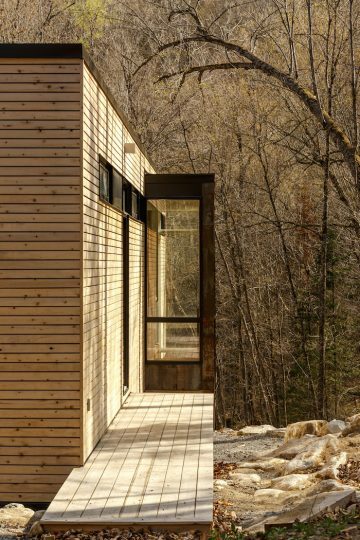 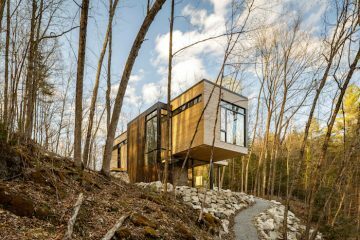 Located in Val des Monts, Canada, the two-story holiday home is surrounded by nothing but nature. 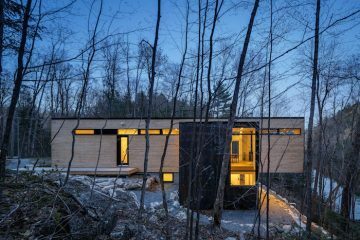 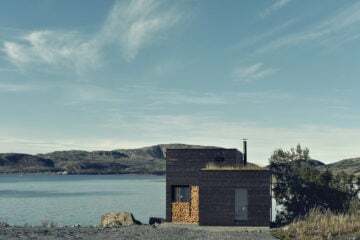 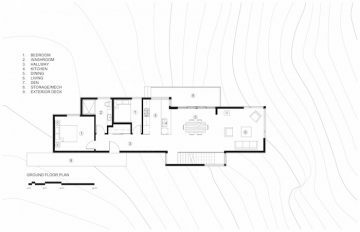 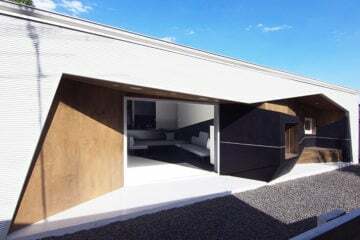 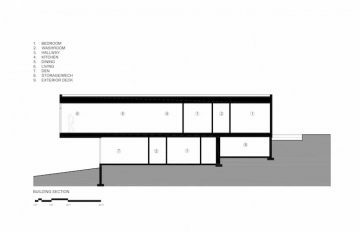 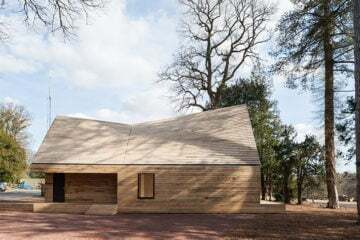 To maintain the balance of the building, the architects positioned the bedrooms into the back of the house where they are firmly set between rocks. 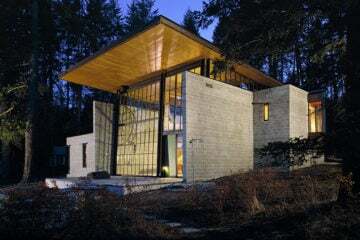 Meanwhile, the living room with its huge windows emerges from the stone base. 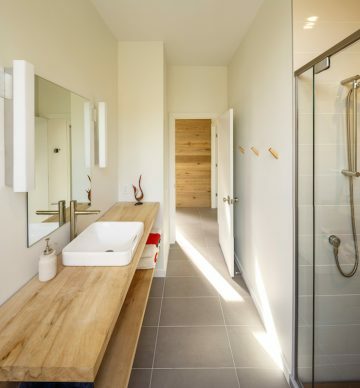 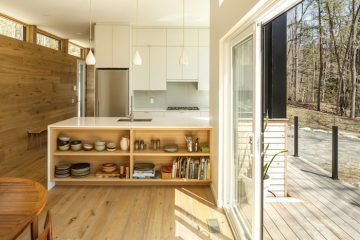 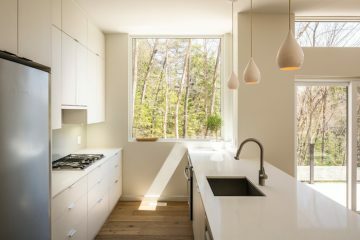 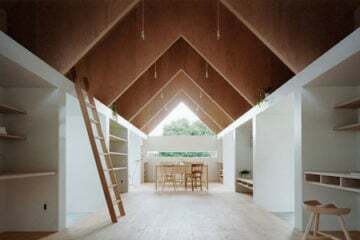 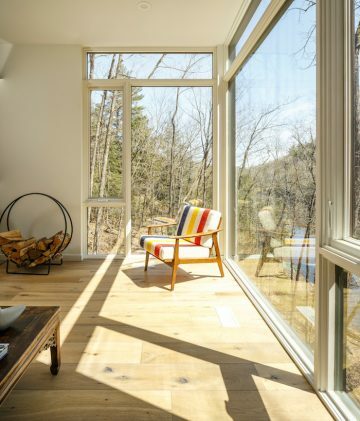 To mimic the natural landscape, the sun-drenched interiors are wrapped with white oak boards from wall to floor. 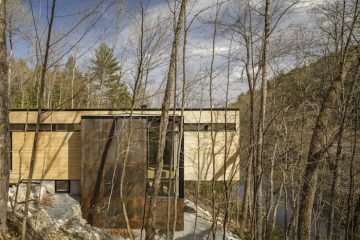 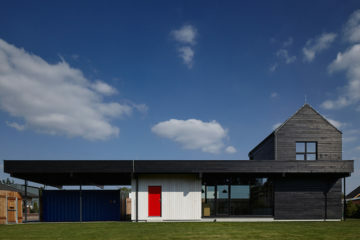 The exterior of the house is constructed with white cedar and the staircase is entirely made of steel enabling a natural aging of materials.